Traversing Is Then Explained, Followed By A Detailed Discussion On Adjustment Of Survey Observations And Then Triangulation And Trilateration.A Detailed Discussion On Various Types Of Curves And Their Setting Out Is Followed By Calculation Of Areas And Volumes. The Last Chapter Includes Point Location And Setting Out Works In Civil Engineering Projects. Suitable Illustrations And Worked Out Examples Are Included Throughout The Book. 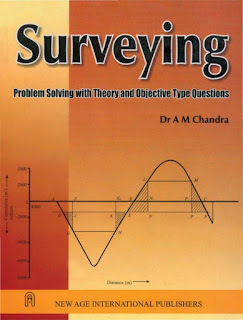 Selected Practice Problems Are Given At The End Of The Book.The Book Would Serve As An Excellent Text For Degree And Diploma Students Of Civil Engineering. Amie Candidates And Practicing Engineers Would Also Find This Book Extremely Useful.